The water temperature of the shallow bay areas fluctuates constantly. The surface waters are typically at their warmest from late July to the end of August, averaging approximately 20°C. The coldest period is at the start of the year. The water temperature of Vanhankaupunginlahti is greatly affected by weather conditions and run-off from the river Vantaanjoki. 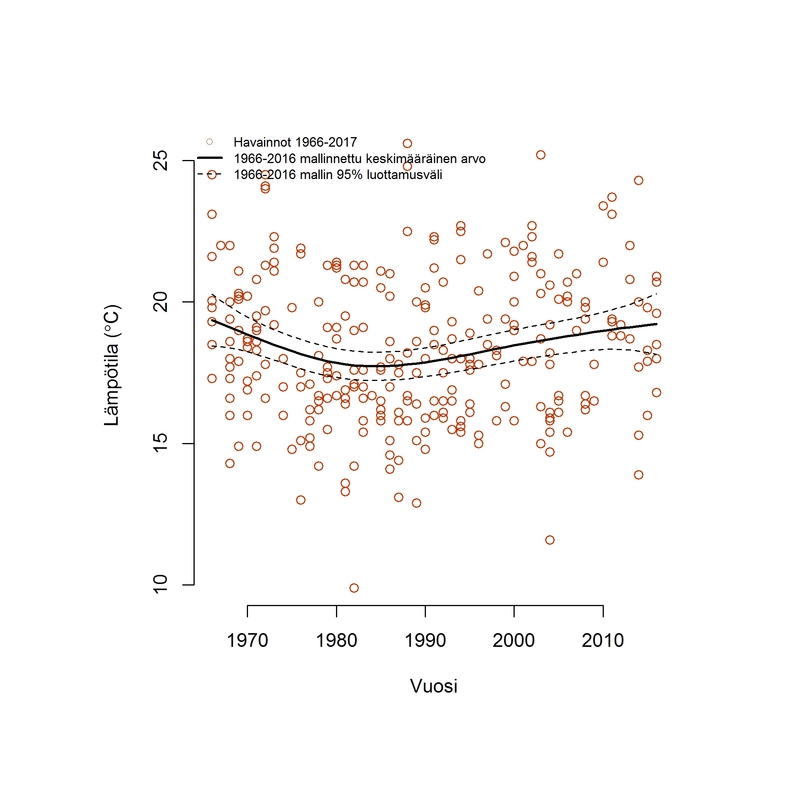 Over the last 40 years, the summer temperature of the surface waters in the middle and outer archipelago off the coast of Helsinki has increased by an average of two degrees. 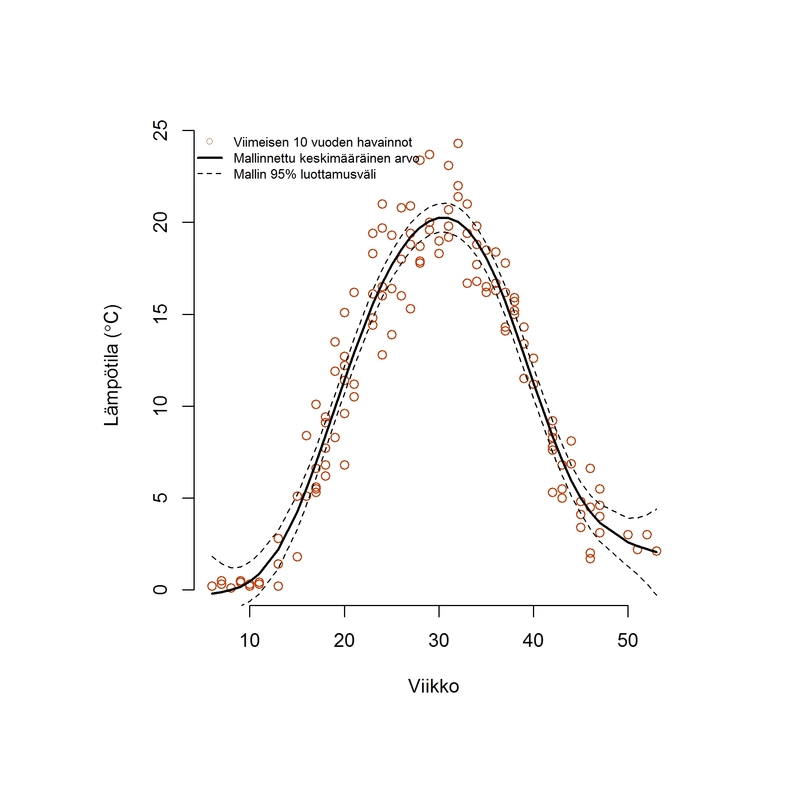 In shallow bay areas, such as Vanhankaupunginlahti, this clear long-term warming is not as clearly visible, as the water temperature fluctuates to a much greater degree. The average summer temperature of the bay’s surface waters is currently at the same level as it was in the late 1960s.